Family portraits are so incredibly special to me! After losing my father-in-law a few years ago it really struck home how important it is to photograph the people we love. It never seems like the right time, and it can be challenging to co-ordinate, but I guarantee that in the end you will never regret taking the time to do it! My own personal family portraits are some of my most treasured possessions. Since I specialize in Glamour and Beauty Portraits for women, many ladies like to come in with their daughters, and their mothers and do their sessions together. 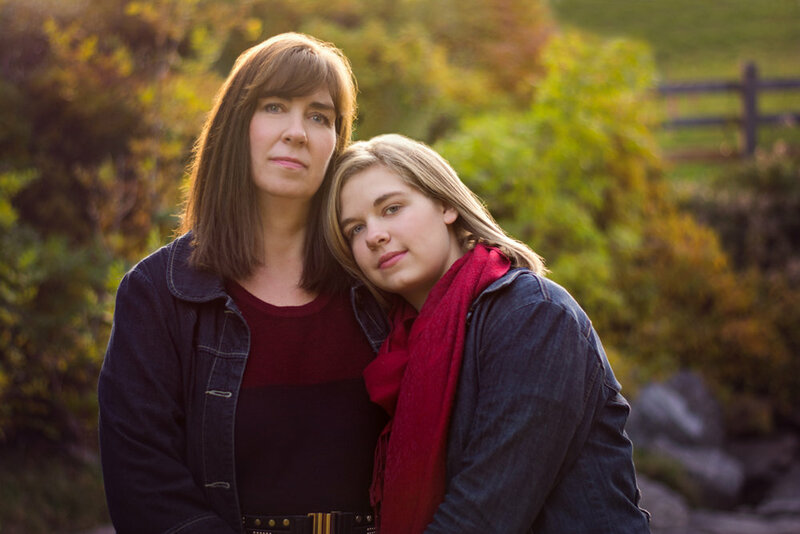 So I make sure to take some Mother/Daughter portraits and Generation portraits. If you've never had a portrait taken with your mother, or an individual portrait taken with each of your daughters, or a portrait of your daughter with her grandmother, you really must consider doing this. These portraits are so precious to have as the years go by. I also take a portrait of my own family every year. I wish I would have done this as my children were growing up, but it's never to late to start! I love having a portrait of my family on our wall. I have tons of quick snaps on my phone, but the portrait on my wall is the one I see and love every single day. I also love having an updated family portrait to share on social media, and for Christmas cards every year. My Dad recently turned 85 years old, and as a gift we took an extended family portrait. I'll admit it was a big job gathering all the family members together and co-ordinate all our clothing, but the results were so beautiful and we are all so happy we took the time to do this. As a gift to my parents we gave them a large canvas of the portrait and it is hanging on their living room wall. It will definitely become a family heirloom. And have your parents had a recent portrait done, just of them by themselves? I absolutely love photographing seniors!! They are such interesting people and I find that they are usually flattered to have their portraits done. What a beautiful way to honor them! When is the last time you had a family portrait done? Children grow and change, and loved ones leave us. Don't wait for the perfect opportunity. Now is the time! 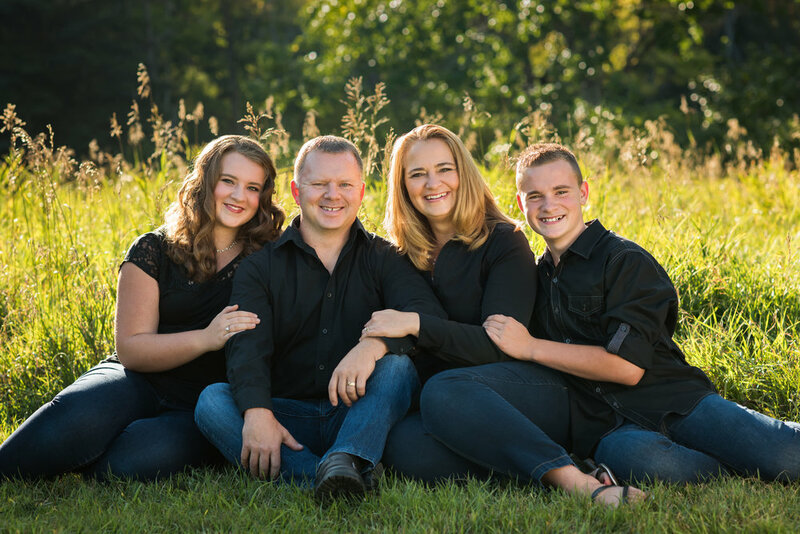 To create your family portraits we will start with a In-Person Planning Appointment where we will have the chance to meet each other and go over all the details of your session. We will talk about the type of portraits you want, and discuss the different groupings you want captured. We will choose a location for your session. For 1-5 people you have the choice of being photographed in my home studio, or on-location. If you have a larger family with 6 or more people your family session will be held outdoors, so we wil choose a location. We will also talk about clothing styles and colors. Your session includes professional hair styling and makeup for one person so we will talk about that as well. You also have the option of adding on makeup and hair styling for extra people for an additional charge. The day of the Photography Shoot starts with the hair and makeup appointments followed by the photo shoot itself. During the session I will be directing you through a variety of poses, including some traditional, and usually some fun ones....but don't worry, they are relaxed and natural. As your photographer, my goal is to make you look your very best! This session does not include any prints or digital images. They are purchased separately, so about two weeks after your session we will meet for your In-Person Portrait Reveal and Ordering Appointment. This is when I will show you the very best pictures from your session and when you can choose your favorite images...but that's going to be hard because you are going to love them all! You can get an idea of what's available here. My goal for your session is to create 20 or more unique images so that you can have a beautiful keepsake folio of the experience. Your images are best displayed in a beautiful folio box or album, but your favorite images can also be used for wall portraits, gifts for friends and family, and holiday greeting cards. Plus all of my collections include a mobile album that makes it easy for you to share your images online with family and friends. 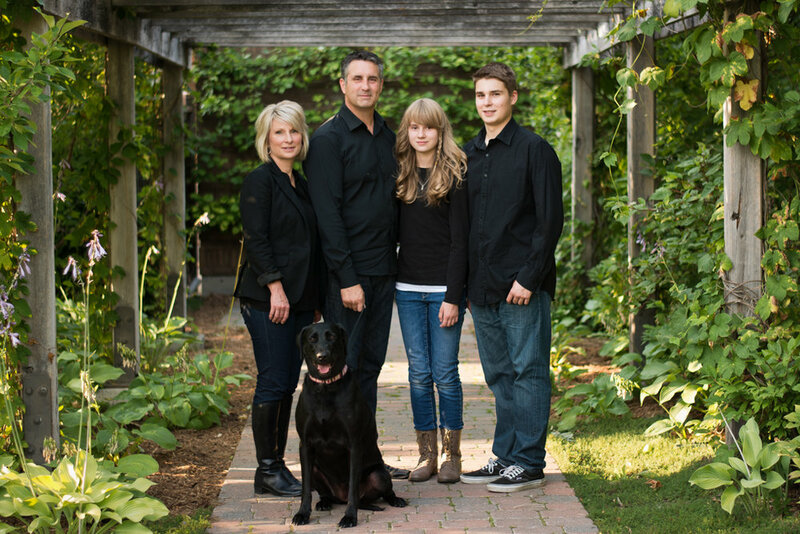 I love creating beautiful family portraits and can't wait to photograph your family! If you have any questions,or would like to book a consultation give me a call at 403-680-8039, or contact me here.